FaceBook Does Work For Disaster Restoration Contractors! 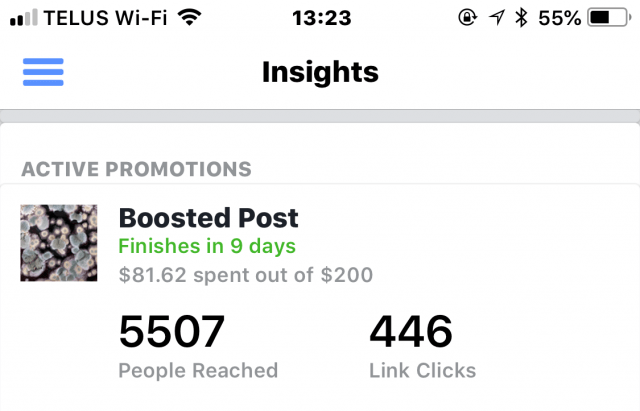 As of April 15th, 2019 over $70,000 has been spent on FaceBook ads resulting in nearly 150,000 unique visitors to our client’s websites. 7 Lessons Learned From This Ad Spend! Make sure your website has a clear call to action. This increases visitor conversion resulting in more leads. Patience. In order to gain traction and optimize results it takes time. Think about FaceBook and social media as an extension of your current marketing. Executed properly, you can cut your cost per website visitor to less than $0.20, particularly if the ad goes viral. The screen shot above shows a campaign averaging just $0.18 per click. Compare this to Google Adwords which averages $2 to $4 per click. FaceBook is less expensive and you have more control. First, they increase the exposure of your brand and services in the area that you operate. Second, they increase the number of visitors to your website. Finally, and most importantly, you will get more leads and chances to close more business. I have developed a Facebook advertising system designed specifically for disaster restoration contractors. If you want to learn how my system could help you increase your sales by $20,000 to $30,000 per month or more book a complimentary 60 minute consultation!